Reflections and Ruminations: The need to die to the self is not masochism. It's deeply embedded in our DNA. The need to die to the self is not masochism. It's deeply embedded in our DNA. Many spiritual writers and even psychologists have agreed that in life, there is a certain need to give obeisance and be obedient to something higher than us. To live only for our needs and ourselves somehow doesn’t lead to a life that is truly meaningful and deep. Just notice how your insides react when reading about the lifestyles of the rich and famous that surround themselves with luxury and opulence. While it is true that the media hardly reports on the ways that they may have reached out to the lesser privileged, it does give the public a certain idea that their lives are only about attaining and maintaining the self. If this is the plain truth about their lives, it is also true that this kind of living has a certain hollow ring to it. Why? Because deep in our hearts, we know that life should not be hollow. Deep inside of us, there is a voice, small and soft though it may be, to live in a way that has trace elements of sacrifice and altruism, and that sees the virtue of selflessness. The early church knew this and lived this out not just as an axiom, but also in deed and action. 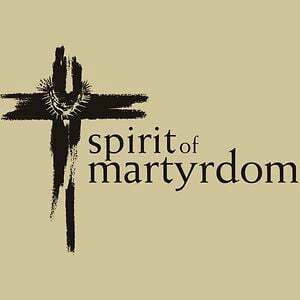 There is a common saying that the blood of the martyrs was the seed of the Church. It was this gallant belief that there was a need to die a physical death for the love of God and his Church that saw so many heroes of our faith die such brutal and cruel deaths. Times have changed since then, and there doesn’t seem to be this pressing need to shed our blood for Christ in a physical way now as there was before. However, the mind and the spirit of sacrifice has not changed. Those of us who forget this are worse off for it. We begin to think, erroneously of course, that our lives are about us. The more we start to accept the difficult and challenging truth that our lives are essentially not about us, the more we will consider to embrace the spirit of selflessness and sacrifice in all aspects of our lives. Sometimes, the act of sacrifice needs to go beyond our physical being. Some of our dreams and hopes in life also are rich fodder for sacrifice, and these are the stuff that can make us people who have a rich depth in character, only if we don’t make others pay for the sacrifices that we have made. This is a form of martyrdom that is unfortunately hardly considered as martyrdom at all. Make no mistake – it is. I truly believe that it stems from the fact that we are made in God’s likeness. God himself, as revealed in the covenants that he made with Israel, is a God who is self-sacrificing. Having put Abram into a deep sleep while God went through the halves of the sacrificed animals is a symbolic way of showing that God’s essence includes the unmistakable element and character of sacrifice. In this godliness that we carry inside of us is also a fire – a fire of love, a fire for glory outside of ourselves, and a fire for transcendence. This fire, when managed and handled well, becomes the fire that makes us die, even in small ways, for others so that they are carried well in life and are given an enervating love through us. This becomes meaningful and clear the more we look at the paragon of sacrificial love that was writ large on Calvary’s Cross. If we never look with depth at the crucified Christ hanging on the Cross, our own call to sacrifice and martyrdom will not be heard. It will only remain as that soft, small voice that slowly becomes lost and drowned out in the world where our lives are about us. "The Lord has sworn and will not change his mind : You are a priest forever in the order of Melchizedek." Psalm 110 :4. If all the priests over the world will understand that they have to die to themselves in order to serve the church then they will recieve the gift of Psalm 110. But how many will let the Holy Spirit to work in them to release and let the DNA comes alive in their bodies and transform into the Holy act for love for all mankinds salvation? If only they read this Psalm and experience the burning desire in their hearts. True, but not just for priests. This transformation is for all, lay and clerics alike. Remember - every baptised is a priest, prophet and king. Maybe not all are in the ministerial priesthood, but certainly in the common priesthood.